Microsoft’s US$26b acquisition of LinkedIn looks a little desperate. 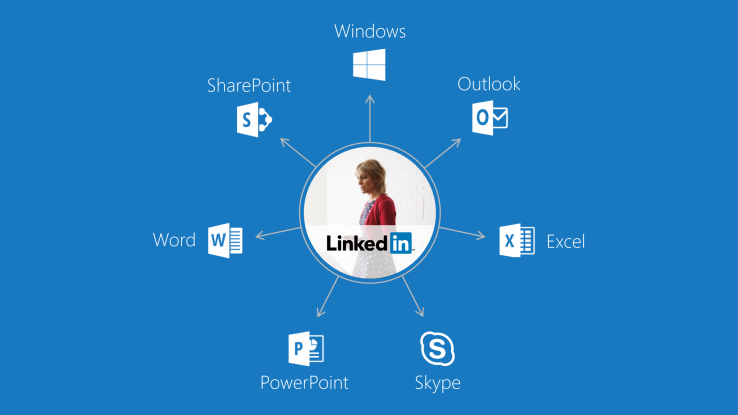 The company hopes LinkedIn will give it access to the work equivalent of the social graph, meaning that there will be a sharing and connecting component within Microsoft’s software applications like word and excel. However, the thinking really isn’t clear. Two thirds of Linkedin revenue comes from recruitment, meaning charging advertisers to post job ads on the networks. The company provides a newsfeed to its users, which Microsoft most likely intends to integrate into the Office 365 and Azure products. I am betting that most people using spreadsheets won’t appreciate a Linkedin feed asking for endorsements while they are concentrating, and will switch the feed off. However, companies like Slack have built there whole business model around it. Microsoft knows this - it does have a hole in social, and Facebook won’t fill it (because it is social, rather than a work product). In this sense, LinkedIn could be important. And Microsoft must fight the game of relevance, even where there isn’t a clear business case. This LinkedIn move, in our view, is a clear response to companies like Google, which has used its search business to build a cut-down version of almost everything that Microsoft does and much much more, which must be making Micosoft very nervous. Meanwhile, Slack and Atlassian are pushing out the boundaries in workplace productivity – and neither Google nor Microsoft are there. For the record, Microsoft’s track record in acquisitions isn’t great. It bought Nokia for US$8b, and wrote off virtually all of it within two years. It also bought Skype for US$1.6b, but data telephony is now a ubiquitous product (Google Hangouts, Whats App, Viber, FaceTime). From Microsoft’s perspective, it is not a killing amount of money (its capitalisation at US$393b is 15x that of LinkedIn) having regard for how much it could be worth if they get it right. We own Microsoft because of its indispensable workplace tools now, but for the disruption that will come as a result of virtual reality, in which it is making great strides. Social networking in the workplace is disruptive, and so could work, but it doesn’t look like a must have. As always, happy to be proved wrong. Thanks for sharing your thoughts Alex. Any view on how/if this matters for Seek shareholders? Very well written post Alex. Google does offer great cut down versions of Microsoft tools, in fact better for collaboration. The issue is they constantly push you into more Google products/network, for their main goal... advertising data. I also struggle to see how Microsoft can harness LinkedIn, but it is a fantastic asset that should grow in value if run independently.